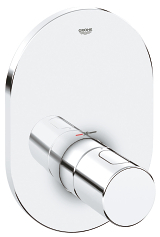 Modern, minimalist design and award-winning technology. 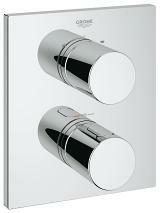 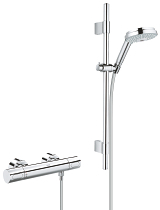 Grohtherm 3000 Cosmopolitan thermostats combine modern, minimalist design with our award-winning thermostatic technology for relaxing shower enjoyment. 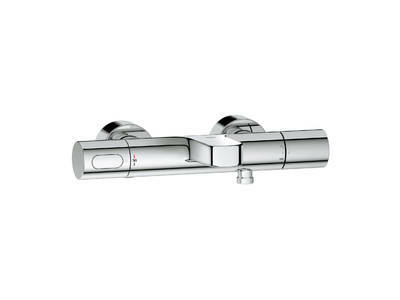 Based on a simple aesthetic philosophy of extruding cylinders in perfect proportions to create balance and harmony, the pure design is enhanced by GROHE StarLight® chrome – a deep, luxurious finish, which resists soiling and tarnishing. 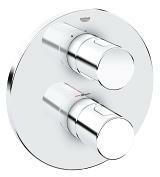 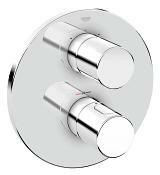 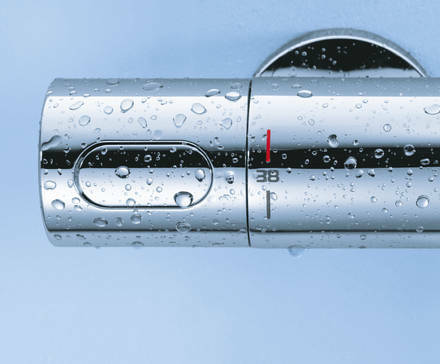 For a water-efficient bathroom, the EcoButton on the handle enables you to reduce your water consumption by 50%. 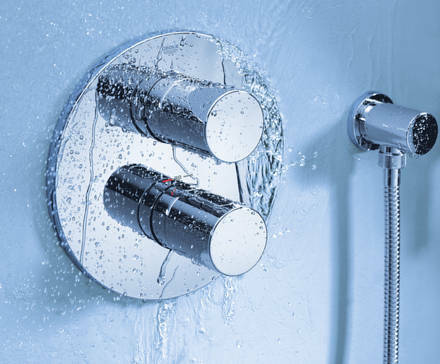 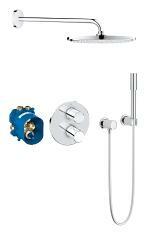 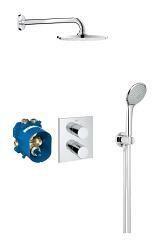 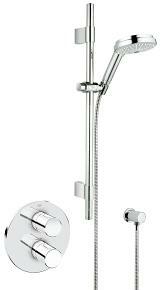 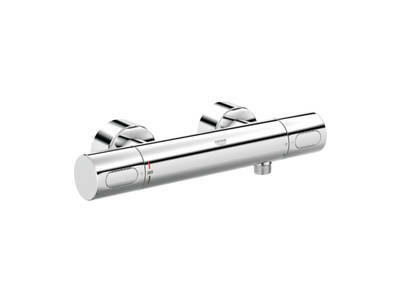 GROHE TurboStat® responds rapidly to any fluctuations in pressure – maintaining your perfect water temperature, while GROHE CoolTouch® ensures the surface temperature of the thermostat never exceeds the temperature of the shower water – eliminating the risk of scalding from hot chrome surfaces. 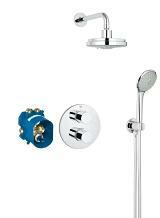 The range of exposed and concealed models complements GROHE Cosmopolitan collections – enabling effortless design coordination in the bathroom. 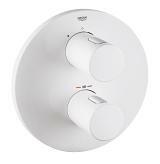 Always the right temperature, for utmost convenience and safety. 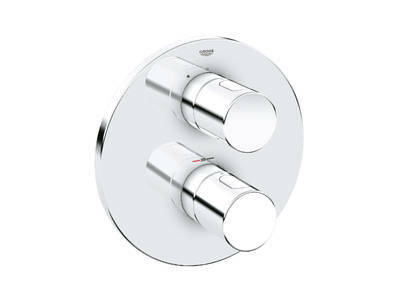 Ietaupiet vērtīgos resursus un par visiem 100 % izbaudiet ūdens sniegtās ērtības.